WASHINGTON (THE LOS ANGELES TIMES) - The next two years may mark the peak of California's power in Congress. 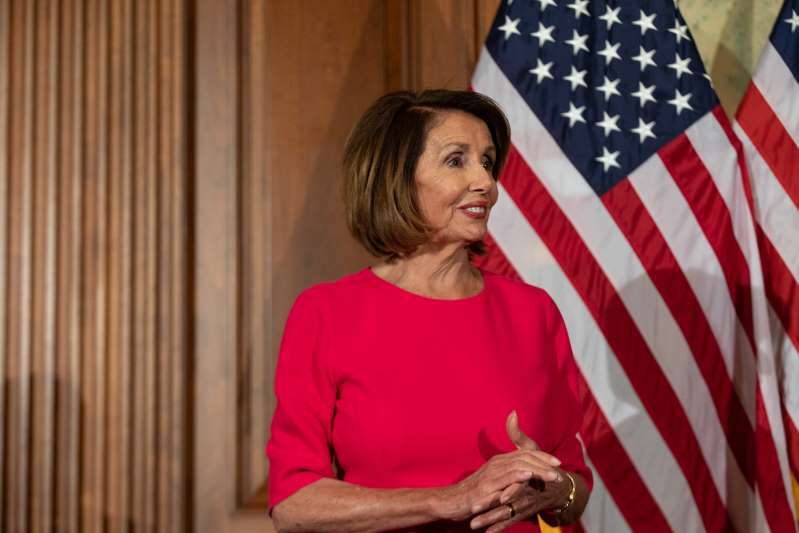 It's not just that Democratic House Speaker Nancy Pelosi and Republican House Minority Leader Kevin McCarthy are both Californians, the first time in U.S. history both posts have been held by leaders from the same state. Members from California now sit on all 20 of the House committees named so far. Californians chair four of those panels and lead 20 subcommittees. No other state can claim such a reach, including the next three largest delegations, from Texas, New York and Florida. Some of the power comes from the sheer size of California's 53-member House delegation, which makes up 12 percent of all members. But the Democratic House takeover and Pelosi's election as speaker dramatically magnified that influence. That's because about 20 percent of the entire House Democratic caucus hails from California, or 46 of 235 Democratic members. Thanks in part to Pelosi, Californians hold an even larger share of House leadership posts, nearly 30 percent. And Californians are at the helm of two of the most influential House coalitions - the Congressional Black Caucus and the Congressional Asian Pacific American Caucus. All told, almost two-thirds of the 46 California Democrats enjoy some position of leadership or influence in the new House. Rep. Adam B. Schiff leads the powerful House Intelligence Committee, which will reopen the investigation into Russian interference in the 2016 election. As new head of the House Financial Services Committee, Rep. Maxine Waters has vowed to look more closely at Wells Fargo's unauthorized-accounts scandal and investigate Deutsche Bank's ties to President Trump. Rep. Mark Takano will have his eye on access to VA hospitals and the GI Bill as chairman of the House Veterans Affairs Committee. And Rep. Zoe Lofgren will oversee federal elections and House management as chairwoman of the House Administration Committee. Californians hold half of the Democratic seats on that panel. "Having that large number is definitely an advantage," Rep. Gil Cisneros said. "It's a powerful bloc. When we're together on an issue, it can move the caucus." Sherry Bebitch Jeffe, a University of Southern California professor and expert on the state's politics, said Texas may be the only other state that has ever amassed so much power in Congress at one time. She pointed to the mid-1950s when Sam Rayburn was speaker and Lyndon B. Johnson was Senate majority leader. It's an enviable position with lots of opportunity to promote state interests. But it's also one that can carry risks of a backlash from other states, particularly for California, she said. "This is kind of a critical mass that's happened," Jeffe said. "Don't tell anybody, though, because they will get very upset. Whether it's a jealousy or a resentment ... California really has been the state that Washington wants to hate." The prevalence of Californians comes at a particularly good time nationally as the state battles the Trump administration on several fronts, including environmental policy and immigration. "Are we circling the wagons to deal with the anti-California backlash? I don't know that that's wittingly happening, but I think California certainly is not going to just cower in the face of that," Democratic Rep. Jared Huffman said. He is expected to clash with the administration as chairman of the Natural Resources Committee's water, oceans and wildlife subcommittee. Multiple members pointed to how quickly the delegation was able to respond to Trump's recent threat to withhold disaster funding to fire victims over California's forestry policies. The administration appears to have dropped the idea amid local outcry. Some long-serving members credit California's rise to Pelosi and her willingness to reward Californians who stood with her. "She's been in the vineyard for a long time and has promoted California - helped bring so many of these members into Congress," Democratic Rep. Anna G. Eshoo said. "And she's never satisfied that they just have a seat at the table. She always says they should be seated at the head of the table." When Rep. Barbara Lee lost her bid recently to be elected as House Democratic caucus chair, Pelosi created a leadership position for her on the panel that makes committee assignments. 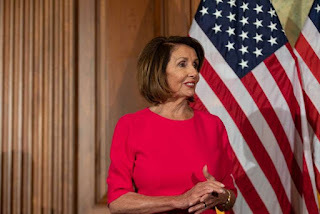 And Pelosi has helped promote several California Democrats she views as next-generation leaders, including Schiff, Rep. Eric Swalwell and newly elected Rep. Katie Hill, who was one of only two freshman representatives elected to leadership. Hill will also be vice chairwoman of the House Oversight Committee. Californians will lead at least 20 subcommittees focused on issues including military readiness, education, livestock, immigration, water and the environment. That number could rise as more assignments are determined in the coming weeks. Rep. Grace F. Napolitano, who leads the House Transportation and Infrastructure Committee's water resources and environment subcommittee, said she'll consider if California is getting its fair share of the tax dollars it sends to the federal government. "Although we watch out for the whole nation, we have in mind the needs that are prevalent in California," she said. "We want to ensure that because California is a donor state (by contributing more in federal taxes than the state receives back) that we get an equitable return." All seven freshman Californians landed on either a committee they were personally interested in or a committee that has oversight of a major industry in their districts, two things that don't happen for every new member and which could give them accomplishments to point to when they run for reelection in 2020. Three of the state's newest members, Democratic Reps. Mike Levin, Harley Rouda and T.J. Cox, even got subcommittee chairmanships right out of the gate, a fairly unusual move. Beyond the committees, Californians were picked to lead two of the three caucuses specifically focused on diversity, all of which gained a record number of new members in the new Congress. Democratic Rep. Karen Bass leads the Congressional Black Caucus, which now has 55 members. Democratic Rep. Judy Chu leads the Congressional Asian Pacific American Caucus. Chu and Bass will also lead two subcommittees. California's dominance won't last forever, however, in part because the state appears to have nowhere to go but down. Pelosi agreed to a four-year cap on her speakership in order to solidify the votes she needed to get the job, and there are plenty of non-Californians waiting their turn to pick up the gavel. Even if McCarthy became speaker if Republicans regained control of the House, with just seven California Republicans left, their reach could not match that of California Democrats. And with slower population growth rates, the state could potentially lose a congressional seat after the 2020 census. One exception might be if California Democrats and Republicans began to cooperate again. But they are notorious for sticking with their parties, even on California issues such as water, immigration and the environment. They are rarely on the same side and seldom meet together. Both sides blamed ideology or the occasional personality difference. "If we could actually get the delegation to work together in a bipartisan way, then there would be no stopping us," Schiff said.